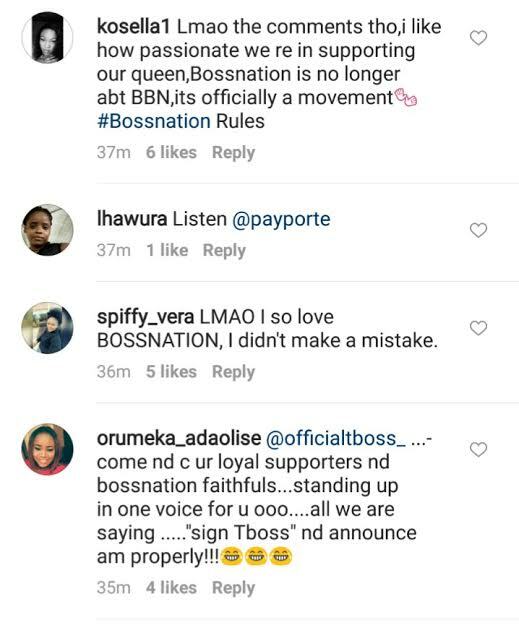 Are TBoss fans turning to BeyHives already? 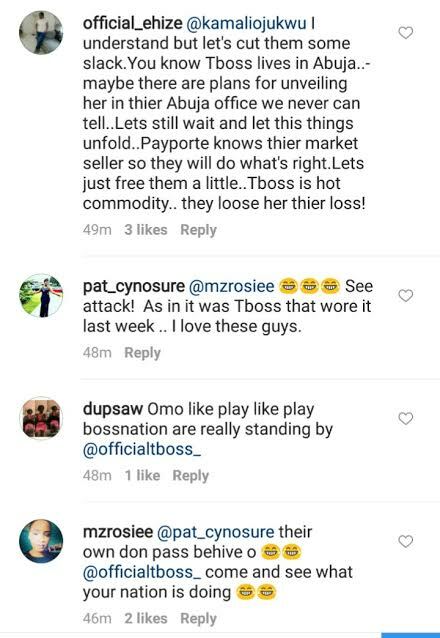 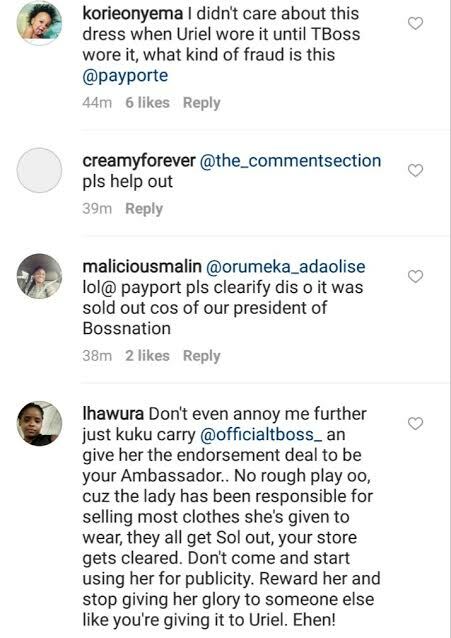 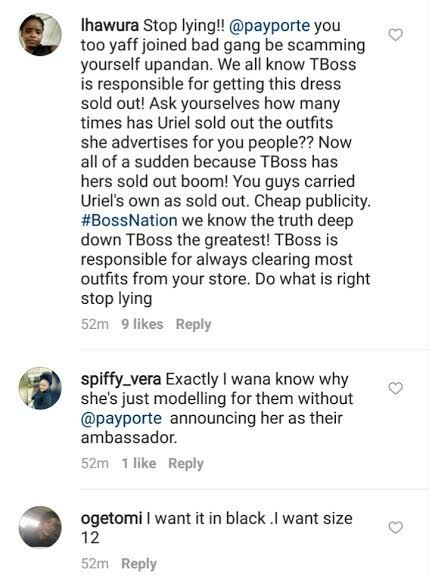 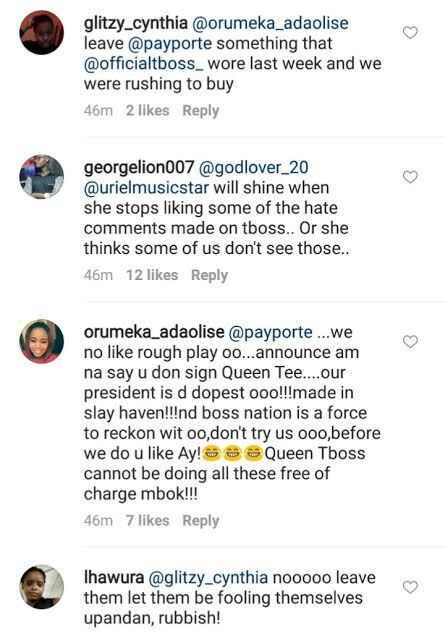 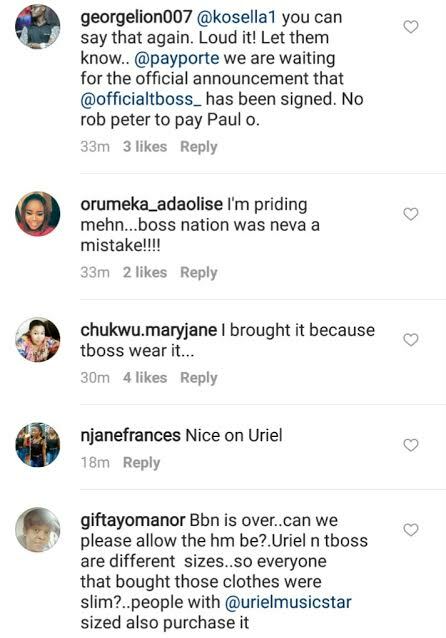 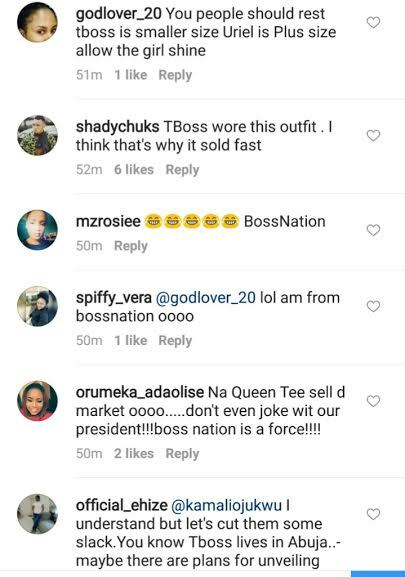 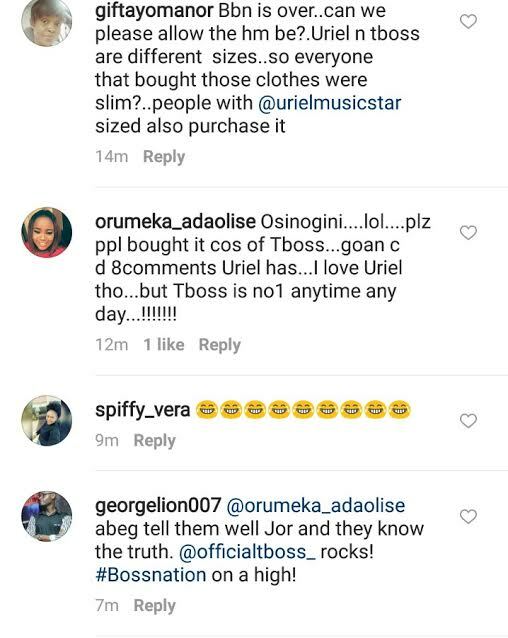 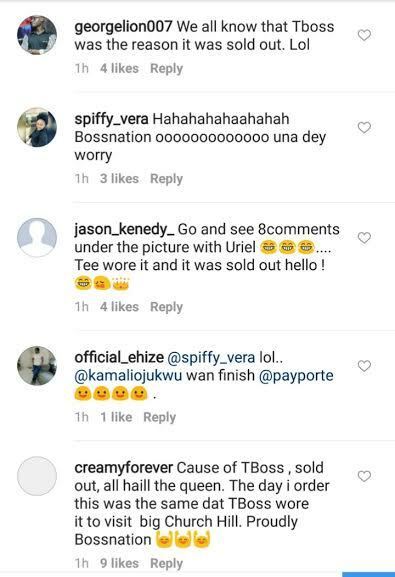 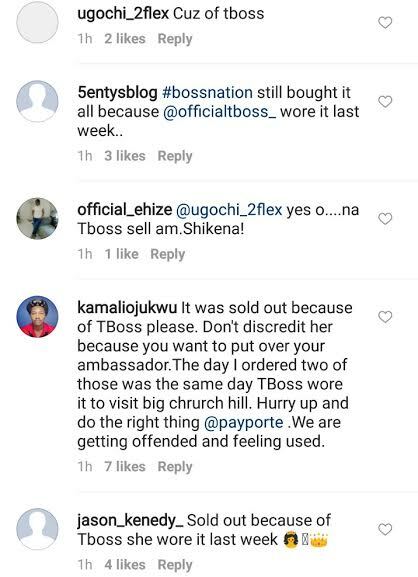 The BossNation as they are called took to Payporte's Instagram page to react after they accredited the red dress below to their fashion ambassador, Uriel, after the dress got sold out. 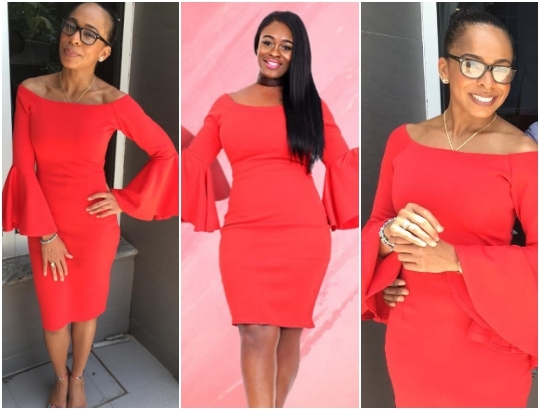 According to TBoss fans, the dress which was first worn by Uriel didn't sell out until TBoss rocked it last week during a visit to Churchill's foundation. 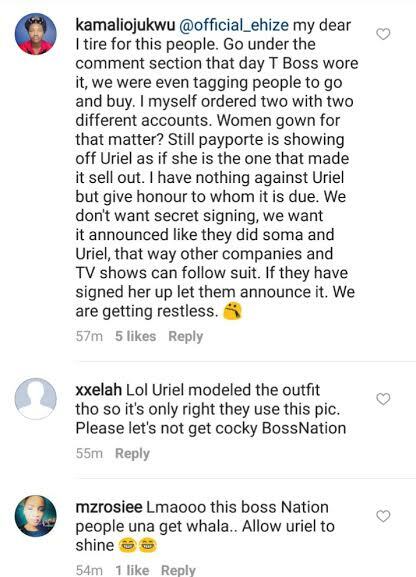 They are arguing that the credit given to Uriel is supposed to be TBoss'.